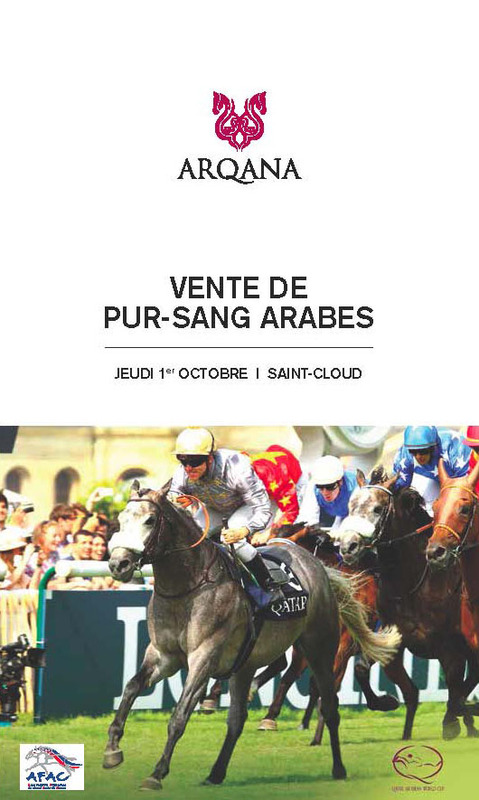 The Arqana Purebred Arabian sale is organised in partnership with the AFAC and takes place on the 1st of October at the Marcel Boussac ring at Saint-Cloud. For the last eight years, this sale, which is for Purebred Arabians only, has traditionally launched the Qatar Prix de l’Arc de Triomphe weekend. This year, 96 lots will go through the ring, including 37 two-year-old colts and fillies, 15 mares and older horses and 31 horses in training. The new endurance section was inaugurated in 2014 and will continue in 2015 with 9 lots for sale. Each year, this Purebred Arabian sale, which showcases French breeding and is a unique event in Europe, attracts many foreign buyers.